Constantine Alexander Payne is a film director, producer and screenwriter born on 10th February 1961 in Omaha, Nebraska, USA. He is best known for critically acclaimed films such as “Election” (1999), “Sideways” (2004), “The Descendants” (2011) and “Nebraska” (2013). Alexander has won the Academy Award for Best Adapted Screenplay twice, and has been three times nominated for the Academy Award for Best Director. Have you ever wondered how rich Alexander Payne is? According to sources it has been estimated that Alexander’s overall net worth is $25 million. Payne has acquired his wealth through directing quality movies, which mostly concentrated on one character’s transformation during a certain life crisis. His films have brought him several prestigious awards, thus increasing his net worth. Since he is still active in the film industry, his net worth continues to grow. 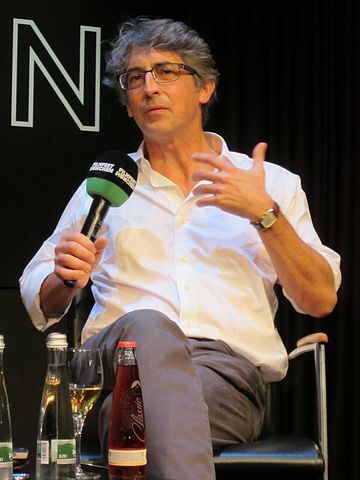 Alexander Payne was born the youngest of three sons in a family of Greek and German descent. He went to Dundee Elementary School and while attending Creighton Preparatory for high school, Payne wrote a humor column for a school newspaper and was the edited school yearbook. In 1979 he enrolled at Stanford University where he studied history and Spanish and while studying the latter, he also attended Spain’s University of Salamanca. After graduating, Payne decided to go to the University of California, Los Angeles’ prestigious film school, in order to pursue his career as a director, finally attaining his M.F.A. degree in 1990. A year later, Payne’s thesis film “The Passion of Martin”(1990) was shown at the Sundance Film Festival and gained industry attention. This led to his first feature film, the controversial comedy “Citizen Ruth” (1996), for which Payne also wrote the screenplay in collaboration with Jim Taylor. Once again using his teamwork with Taylor, Payne wrote the script for his 1999 film “Election”, starring Reese Witherspoon and Matthew Broderick, which brought him an Academy Award nomination. These provided a good start to his net worth. Three years later, he received positive critiques once again, for “About Schmidt” (2002), a movie dealing with the topic of aging with Jack Nicholson in the lead role. However, Alexander earned his first Academy Award and a Golden Globe in 2005, for his comedy-drama film “Sideways”. A huge success, this film received five Academy Award nominations in total. During the next few years, Payne directed “Paris, Je T’Aime”(2006) and produced and wrote several films including: “I Now Pronounce You Chuck And Larry”(2007), “King of California”(2007) and “Savages”(2007). All these added steadily to his net worth. Payne also worked on television, as an executive producer of the “Hung” series. In 2011, he directed another one of his most notable films, “The Descendants”, which brought him even greater recognition, a number of accolades and another Academy Award for Best Adapted Screenplay. His film-making talent dazzled once again with the release of his family dramatic comedy “Nebraska” in 2013, and brought him Golden Globe and Academy Award nominations, as well as an Independent Spirits Award for Best First Screenplay. Alexander was chosen as a member of the Main Competition’s Jury at the Cannes Film Festival in 2012 and two years later, the Location Managers Guild of America honored him with the Eva Monley Award. Of course, his net worth continued to rise! When it comes to his personal life, Payne was married to Korean-Canadian actress Sandra Oh for three years, before separating in 2006. He is on the Board of Directors of “Film Streams”, Omaha non-profit film theater and recently helped preserve a historic film theater in Scottsbluff, Nebraska.